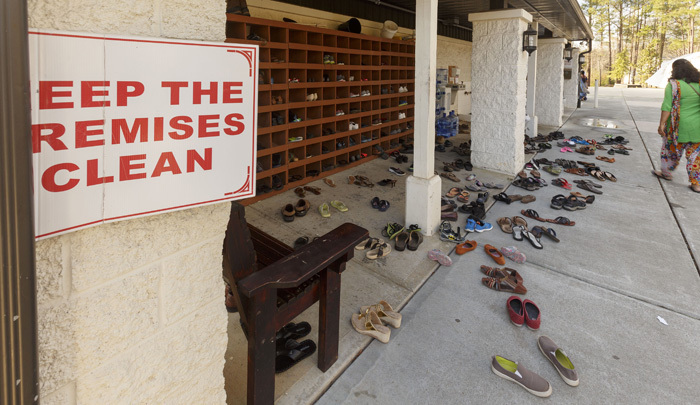 Shoes are removed at the gates of the temple compound, as the courtyard and the temple itself are sacred spaces. 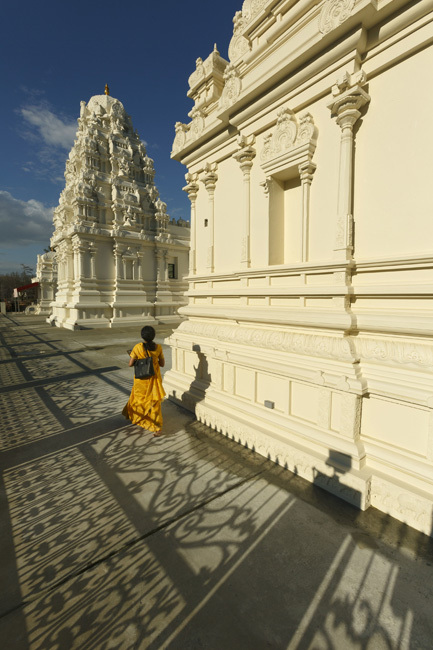 Followers of the Hindu religion walk around the temple in a clockwise path in order to tap into the sacred energy of the cosmos. 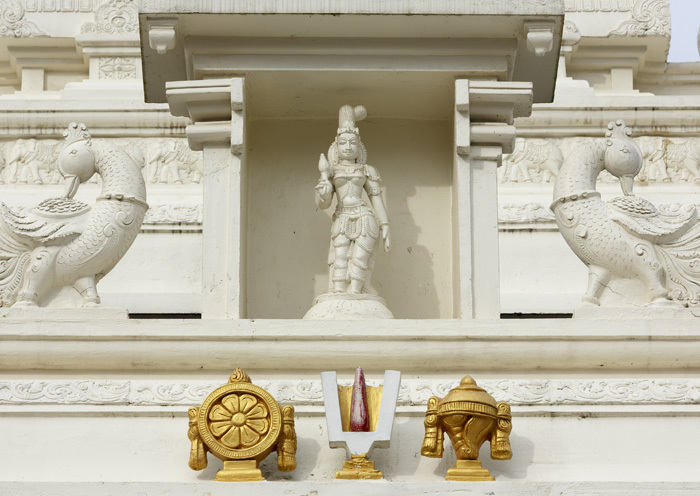 During some festivals, the deities are brought out of the inner temple, so more of the faithful can see them. 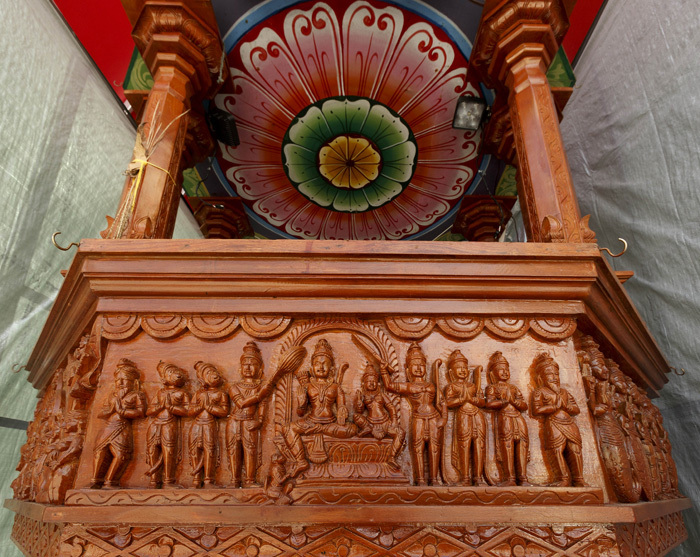 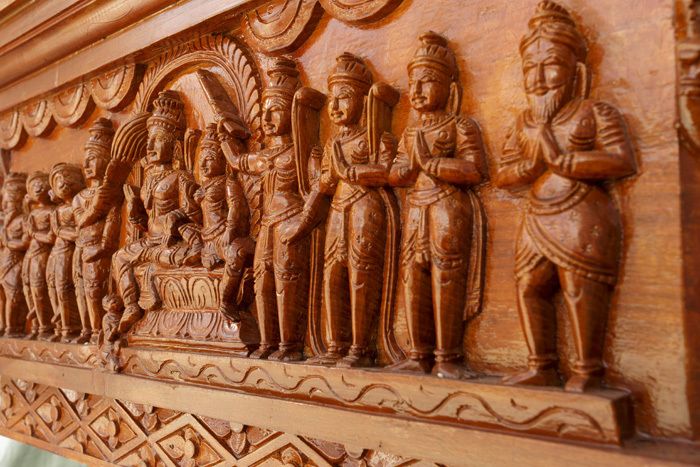 The teak chariot, above, that carries the deities was carved in India, dismantled and reassembled in North Carolina by the same craftsman. 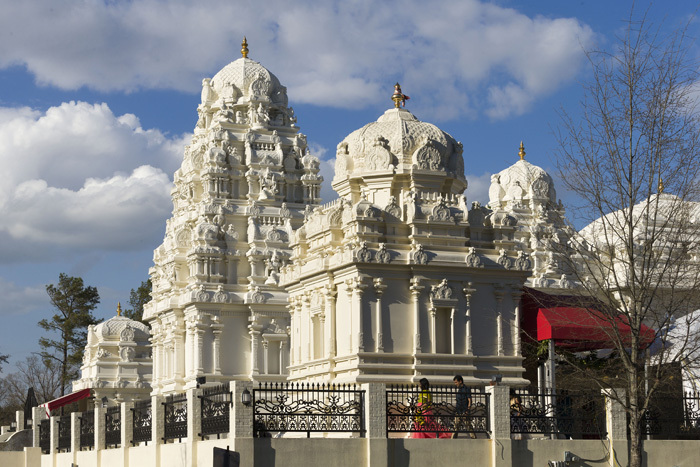 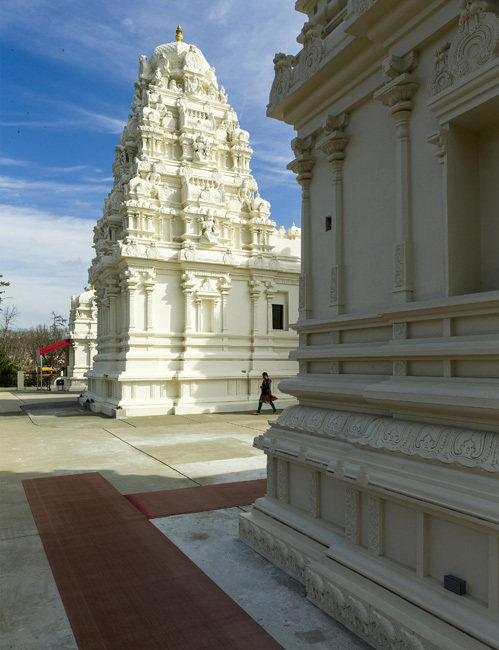 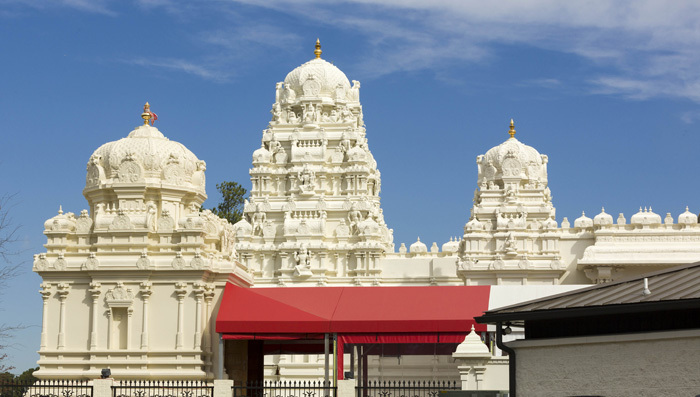 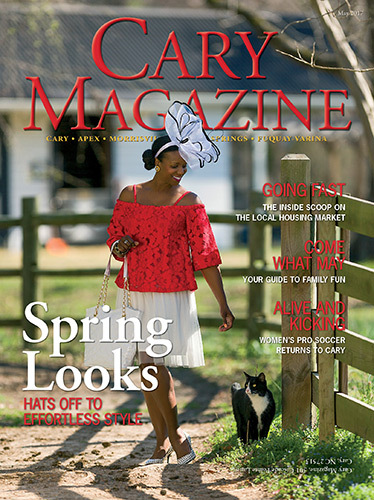 The Sri Venkateswara Temple is built on a rise on the Cary property. 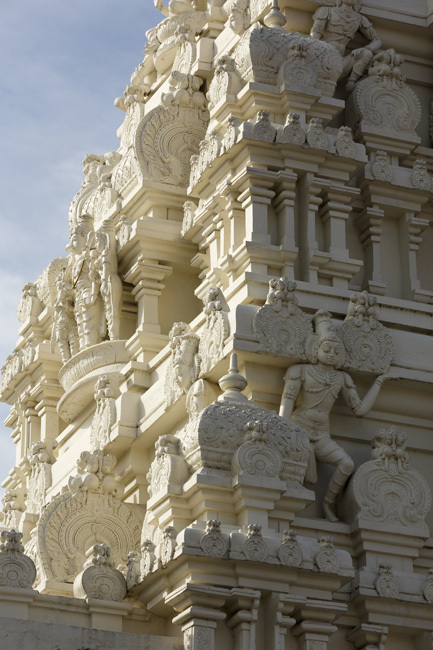 Plans for the temple began in 1998 when a local family bought 2.5 acres for the project. 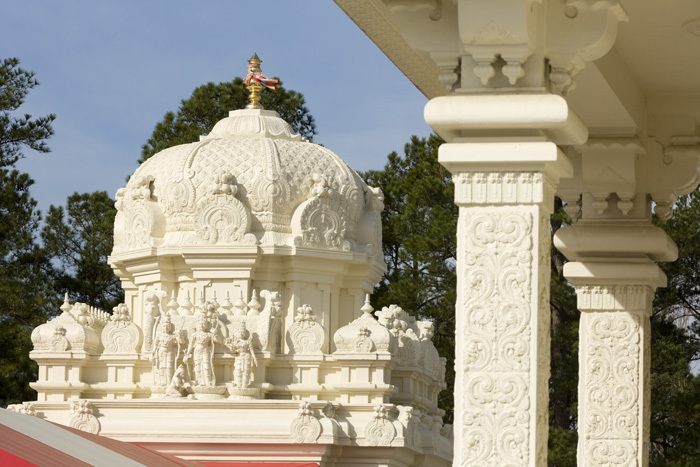 Another seven acres were eventually added to the site, and the temple was consecrated in 2009. 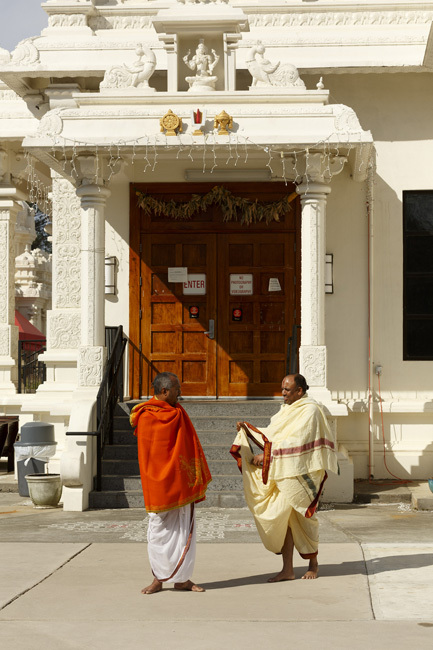 Rajagopala Kanduri, left, and Varadarajan Golluru are two of the six priests who perform daily devotions at the Cary temple. 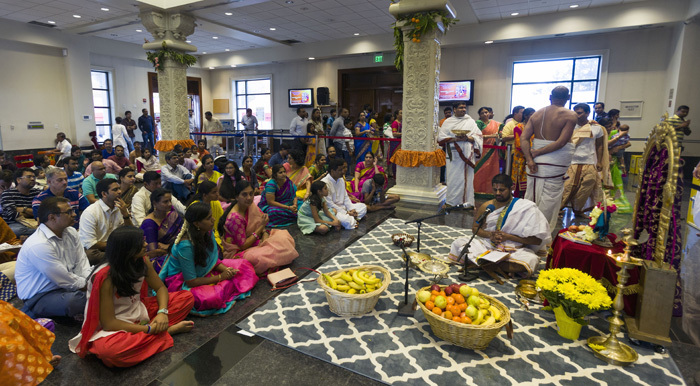 During Ugadi, visitors pay their respects and leave food and other offerings inside the temple. 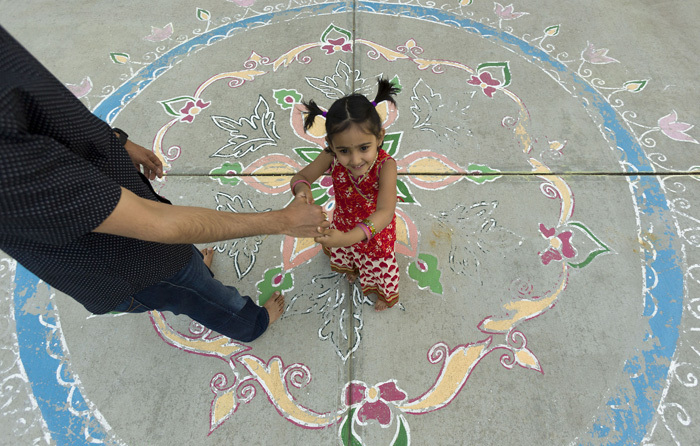 Among other traditions, Ugadi is observed by drawing colorful patterns on the floor, buying and giving gifts such as new clothes, giving charity to the poor, preparing and sharing special foods, and visiting Hindu temples. 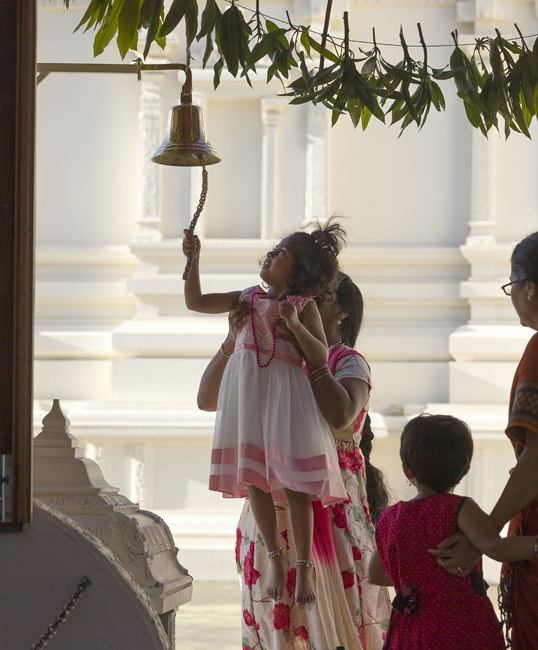 In Hinduism there are no formal services except during festivals and other special occasions. 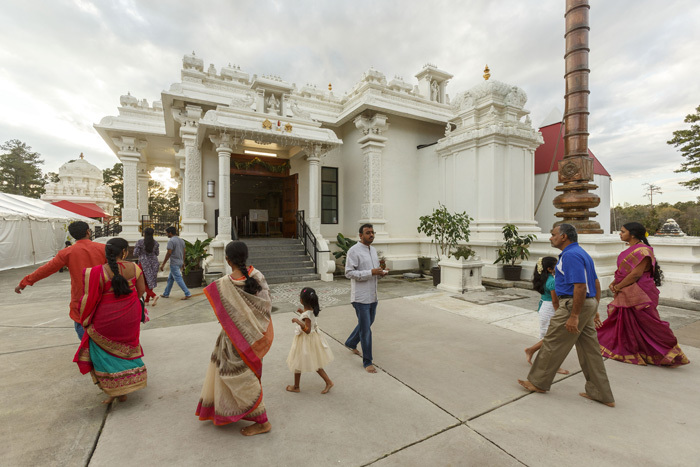 The temple is open weekday mornings and evenings and from 9 a.m. to 9 p.m. on weekends and holidays so people can drop by as they are able. 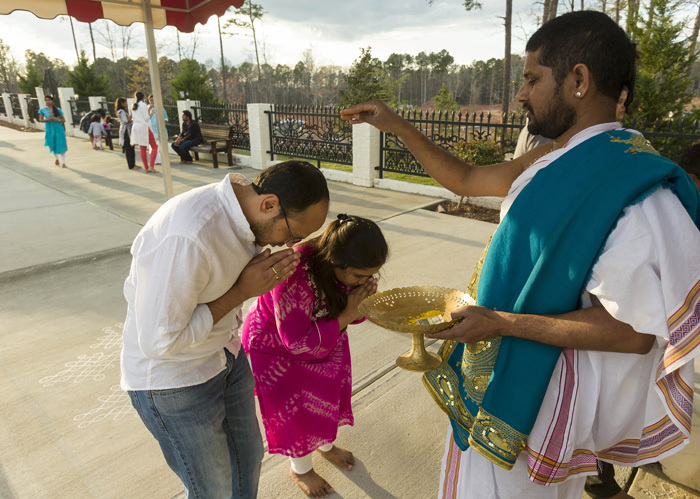 Hinduism, the largest religion in India, is also the faith of many North Carolinians of Indian heritage. 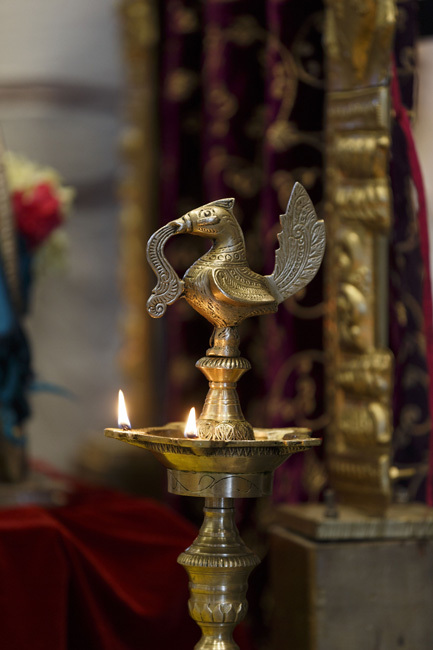 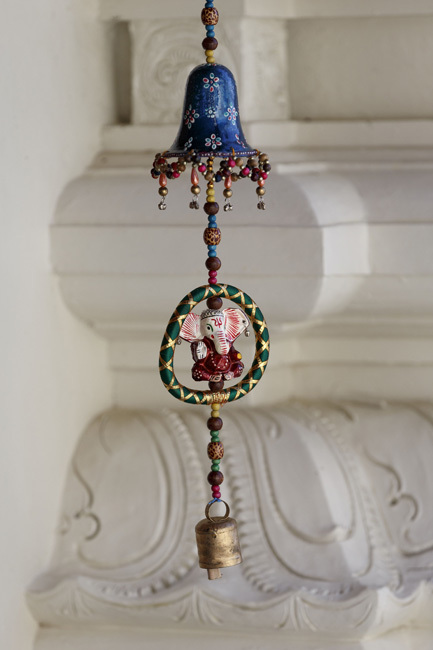 Traditions vary, but core beliefs of Hindus include reincarnation, that the soul passes through a cycle of birth and death, and karma, that a person’s actions affect his future in this life and the next. 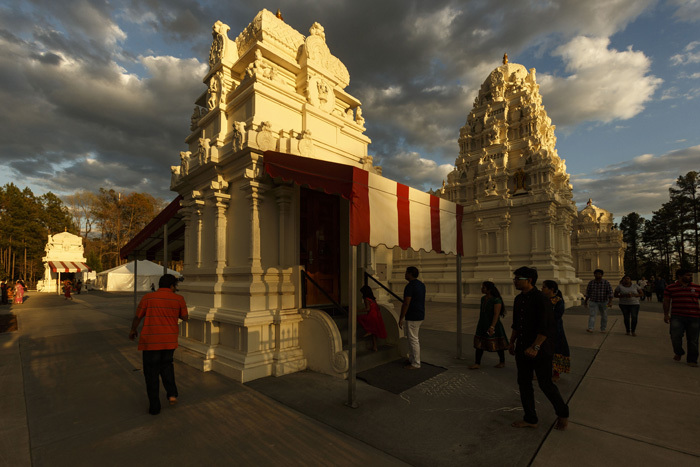 The late afternoon sun kissed the top of the Sri Venkateswara Temple like a blessing. 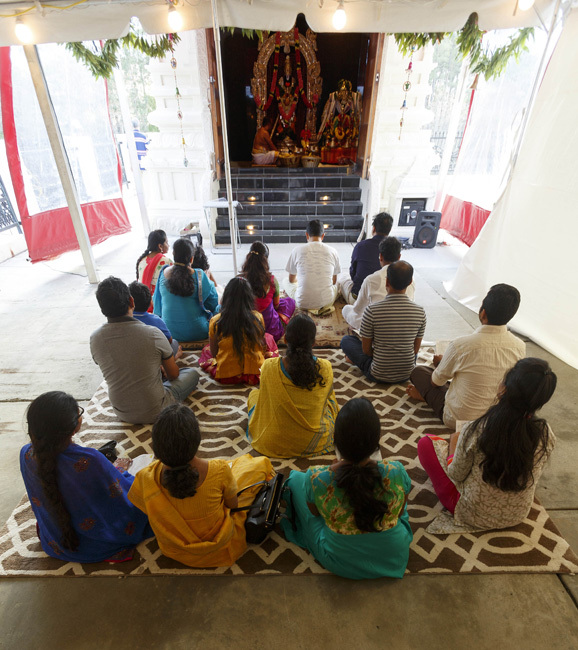 In the courtyard, hundreds of devotees lifted their prayers as they circumambulated the Cary temple, stopping now and again to pay their respects at smaller shrines. 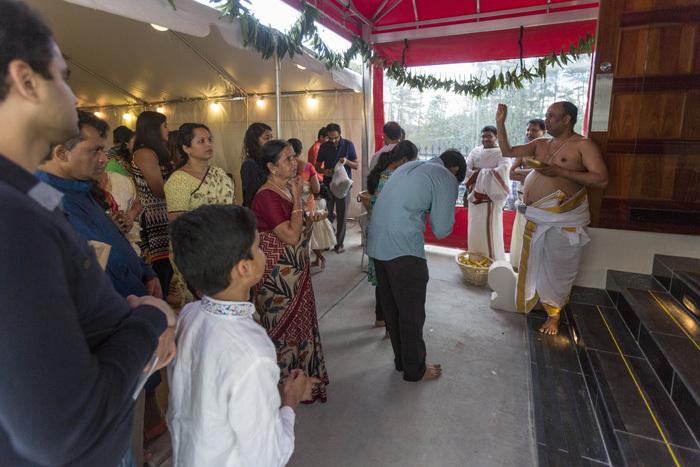 The evening ceremony was part of Ugadi, a festival in late March marking the lunar New Year according to the Hindu calendar. 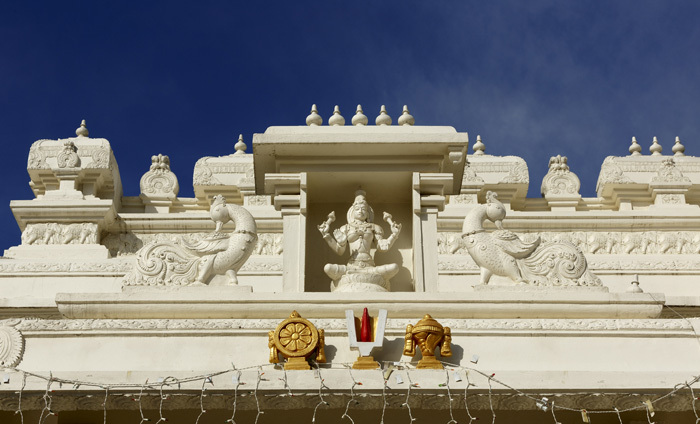 Hindus see the divine everywhere, especially in nature, so the open-air courtyard with its view of the sky and the temple’s ornate exterior is a sacred space. 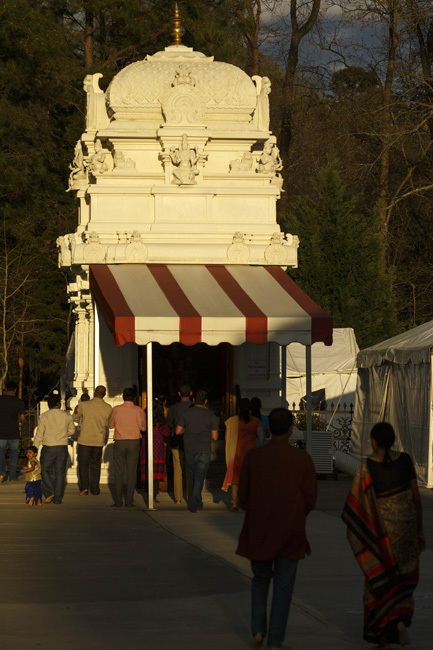 By walking around and around the temple in a practice called pradhakshna, worshippers focus their thoughts and meditate on the divine. 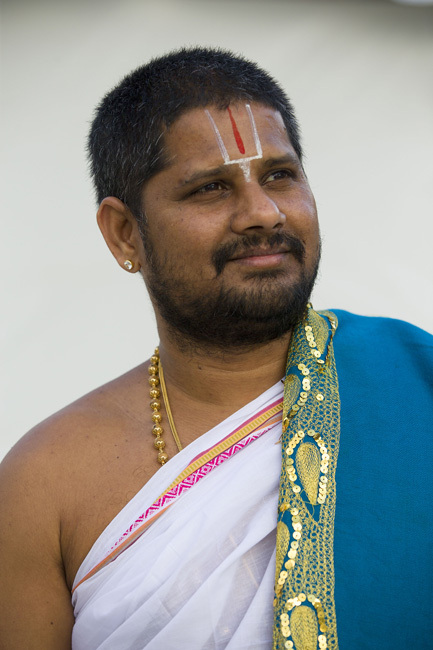 “The whole purpose of the temple is to store cosmic energy and use cosmic energy from nature. 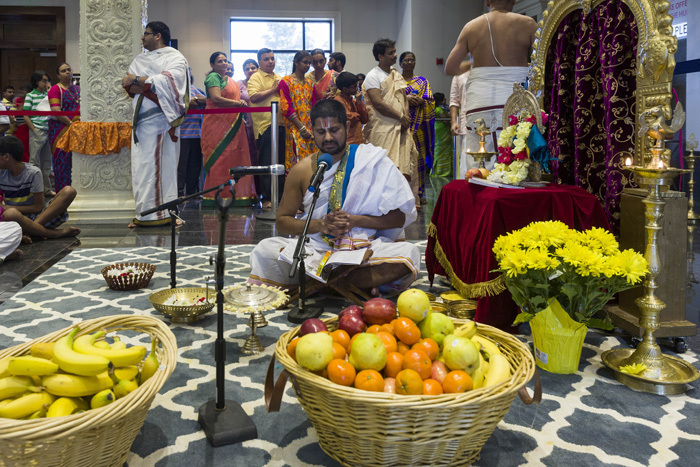 It’s also recognizing that God is everywhere,” said Chakrapani Kumara, one of six priests who perform daily rituals at the temple. 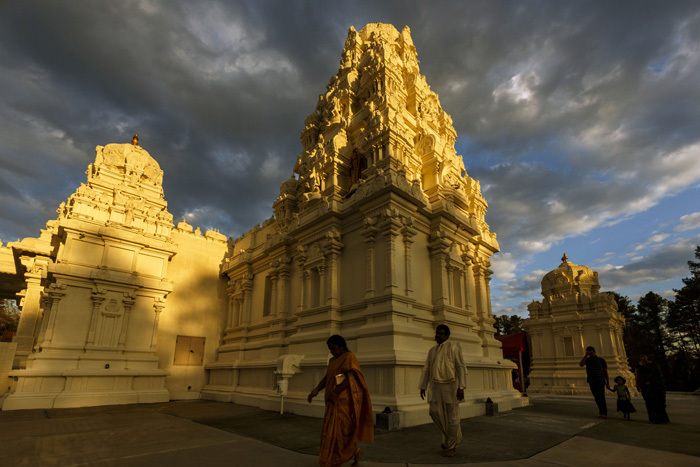 The Sri Venkateswara Temple is dedicated to Vishnu, one of Hinduism’s principal deities, and was consecrated in May 2009. 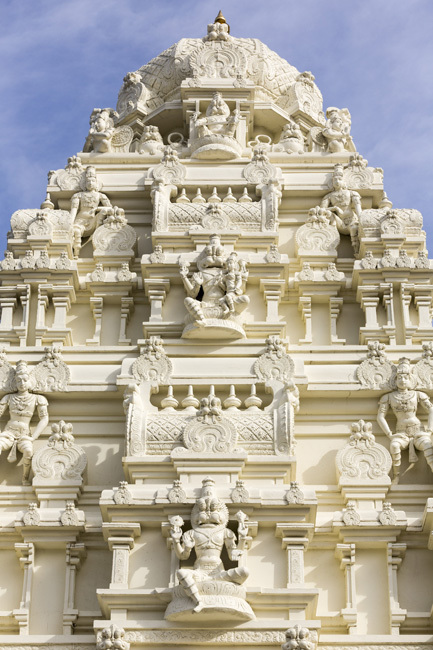 The building’s architecture has roots in eighth-century southern India. 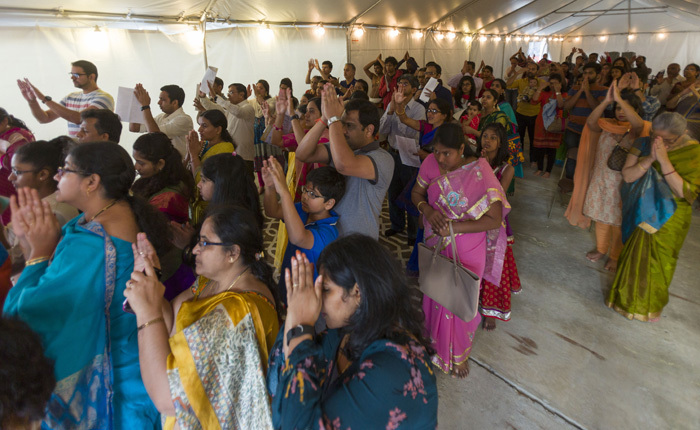 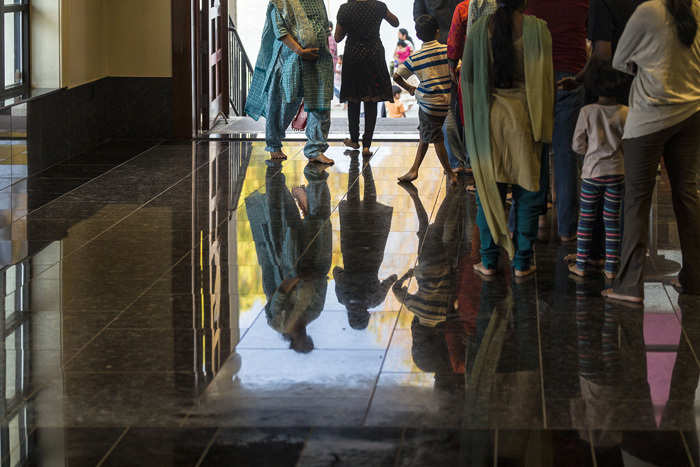 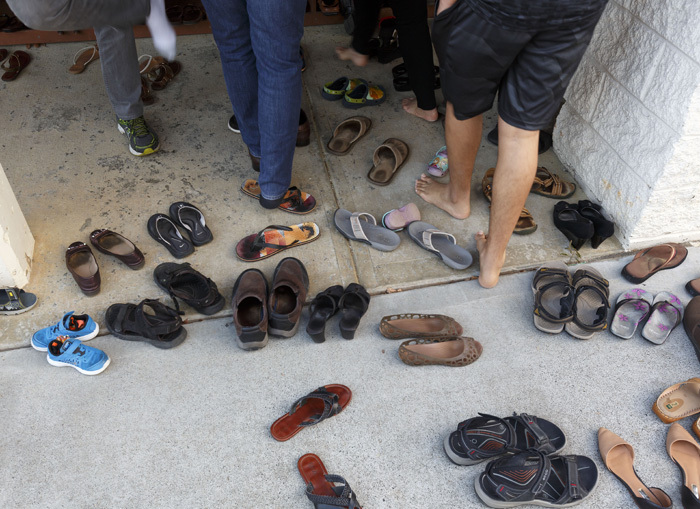 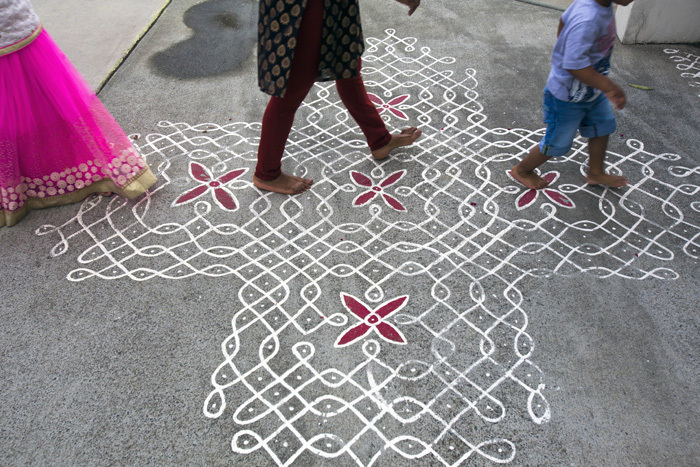 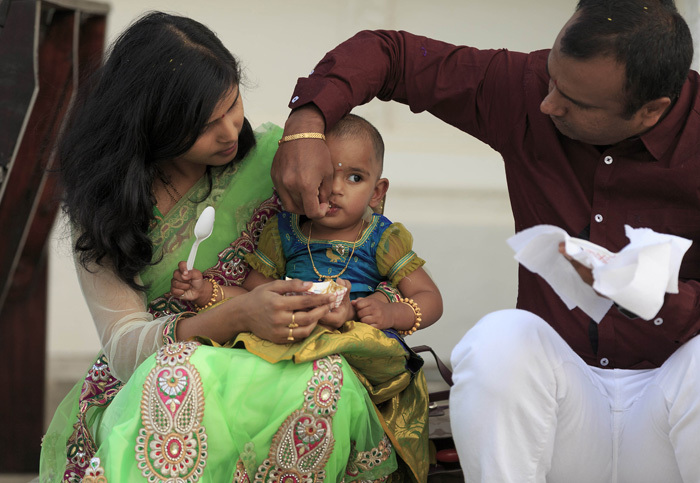 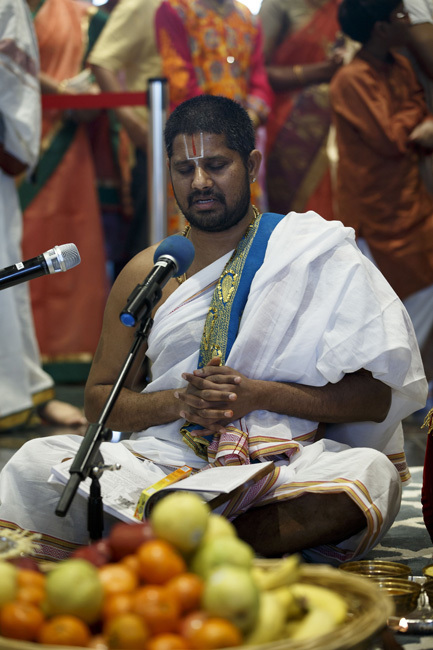 Now a fixture of the community, the temple and its staff serve hundreds of devotees throughout North Carolina and surrounding states, says Raghavendra Kasi, a patron of the temple. 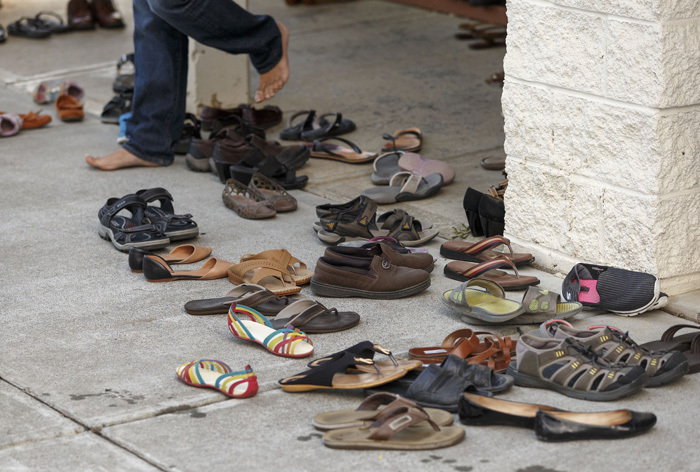 Educational events and service opportunities are also provided. 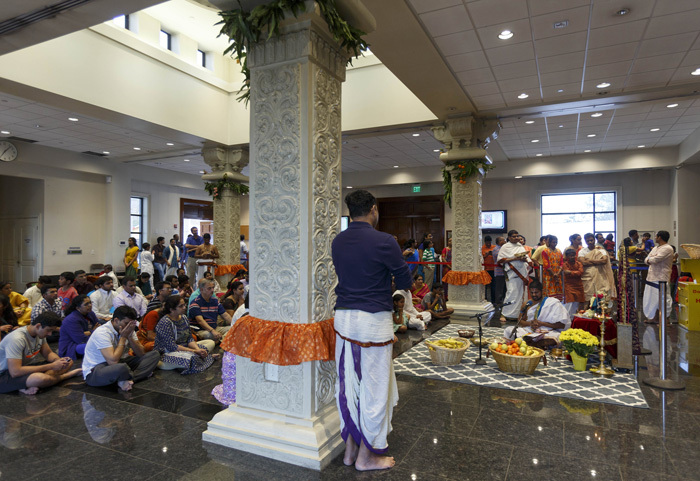 “The temple brings the community together, establishes our faith in God, and ultimately shows the way to reach God,” he concluded. 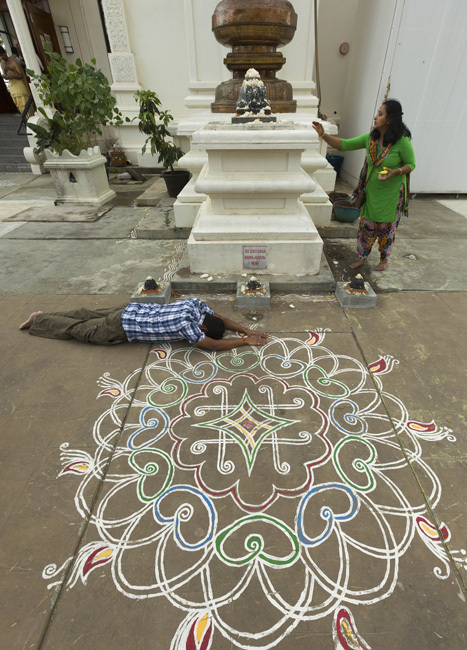 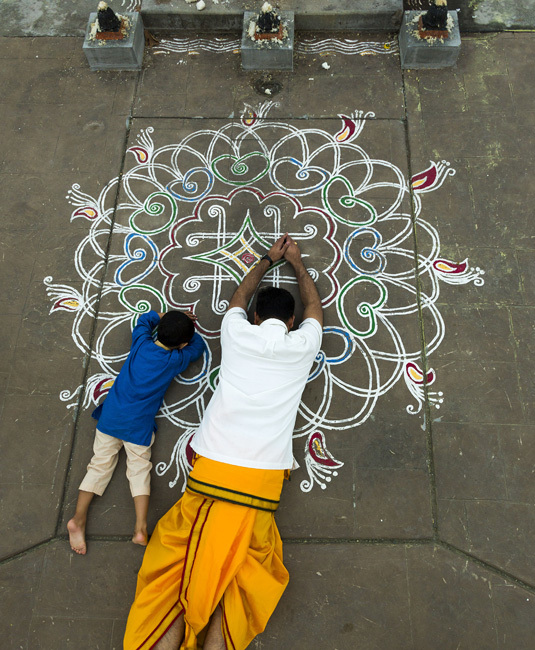 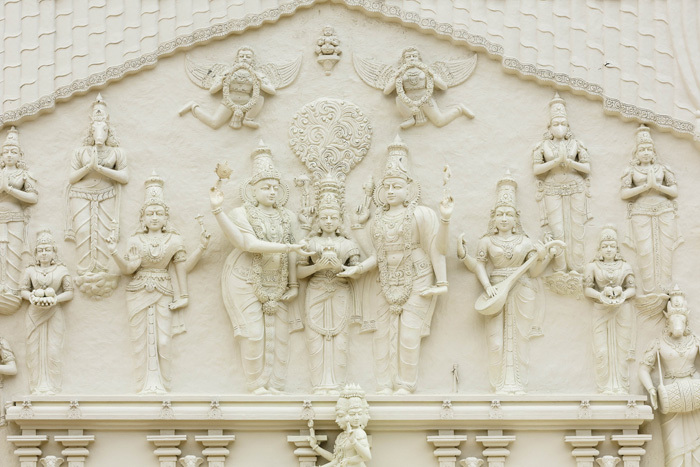 Photographer Jonathan Fredin shares his images of the Sri Venkateswara Temple and the worshippers who welcomed him as they celebrated Ugadi.